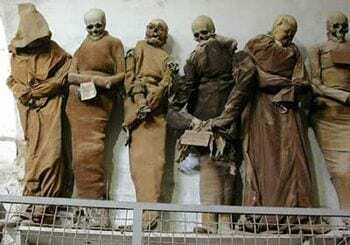 Bodies in the Capuchin catacombs of Palermo. Photo by Paradoxplace. Crypts, catacombs, torture chambers, and more: Turns out, there’s way more to Italy than pretty art and delicious food. Here’s our list of five of the creepiest sites in Italy. Warning: Don’t read on unless you’re prepared to be truly spooked. In the first century, Italy’s Christians could either bury their dead in pagan cemeteries or illegally bury them in underground cemeteries on Christian-owned land. This is how the Catacombs of St. Callixtus along the Appian Way were formed, with a bit of money and help from the burgeoning Catholic Church. Now, the catacombs of St. Callixtus are one of the largest and most important catacomb complexes in Rome. Named after the deacon Callixtus, the catacombs house more popes than any other – up to 16! – as well as martyrs and hundreds of Christians. A half hour tour will lead you deep under the earth. This tour is not for the easily claustrophobic though: the tombs of Rome’s ancient Christians line the narrow corridors and stretch for miles! The Crypt is located on Via Veneto 27 under Santa Maria della Concezione dei Cappuccini Church. Visitors can tour the museum and crypt for 6 euro, Friday – Wednesday 9 a.m. – 6:30 p.m. 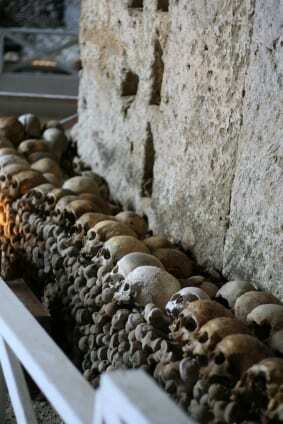 The Capuchin Crypt in Rome has nothing on its Sicilian cousin. In Palermo, the Capuchin monks mummified more than 8,000 corpses with the utmost care: They drained the bodies, washed them with vinegar, stuffed them with straw, and then… dressed them in their clothes and placed them in the catacomb’s corridors, either sitting, standing or reenacting scenes from life, like rocking in a chair or “chatting” to another corpse. The result? Today, the bodies of everyone from babies to cardinals line every wall of the caverns. They’re in all states of decay. One little girl is so well-preserved, she looks as if she’s sleeping—even though she was interred in 1920. It’s hardly surprising that, when one of our co-founders visited Palermo’s Capuchin crypt, he felt so freaked out he had to leave! Think you can handle it? Here’s a video that’s almost as bone-chilling as the real thing. The Capuchin crypt is located on Via Cappuccini 1, and open from 9am-12pm and 3pm-5pm daily. The haunting (and haunted?) Inquisition cell in Narni. Photo courtesy of Narni Sotterranea. In almost all respects, Narni seems lovely and peaceful, a medieval hilltop town overlooking the rolling hills of Umbria. That’s until you enter Santa Maria Maggiore. Hidden underneath this 14th-century Dominican church lie a series of underground rooms… that once served as cells for the trials, tortures and imprisonments of the Inquisition. Used from 1650 all the way until 1860 (! ), the cells were forgotten for years afterwards. Then 20-year-old Roberto Nini discovered them by accident in 1979, when he checked out a crack in a neighbor’s house… and wound up in a lost medieval chapel underneath the present-day church. Next door? The inquisition chambers. To piece it all together, Nini embarked on a Dan Brown-like expedition that took him to the Vatican’s librahe former Holy Inquisition Office, and the secret archives of the former Holy Inquisition Office. Today, you can go below ground to see the torture chamber, with racks and other instruments that would have been used on display. The most heart-wrenching, though, is the “Room of Torments,” a tiny cell completely covered in symbols, prayers and codes. Most were done in 1759 by one of the guardians of Spoleto’s Inquisition jails, a Freemason who had been accused of freeing a prisoner. If that’s not spooky enough, in December 2005, an earthquake broke open the floor of the church. Beneath it? The skeletons of men, women, and children. You can visit the Narni Underground year-round on scheduled tours. Lots of myths surround Poveglia, an abandoned island in the Venetian lagoon. What we know: In the 15th century, Poveglia became Venice’s quarantine island. Anyone with symptoms of disease—particulary the devastating Black Plague—had to bide their time here. The island also would have served as a graveyard for the unluckiest of the quarantined; at the island of Lazzaretto Nuovo, also used for quarantine, mass graves with thousands of plague victims’ skeletons have been found. 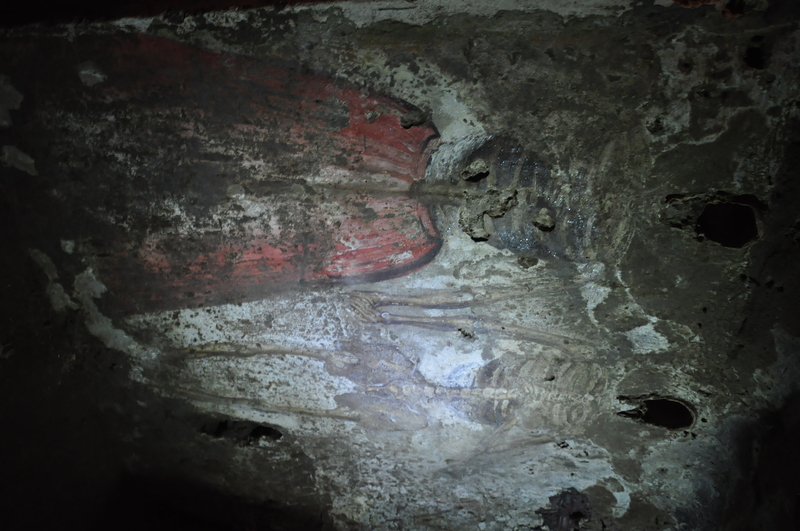 At Poveglia, they’re still undiscovered and unmarked. Making Poveglia even creepier than Lazzaretto Nuovo, though, is that a mental institution was built here in 1922. Psychiatric medicine wasn’t exactly forgiving 100 years ago. As the barred windows that still remain on the island illustrate, those held here have felt like they were prisoners as much as patients. Today, the island, and its buildings, have been completely abandoned. And tourists aren’t supposed to set foot on it. 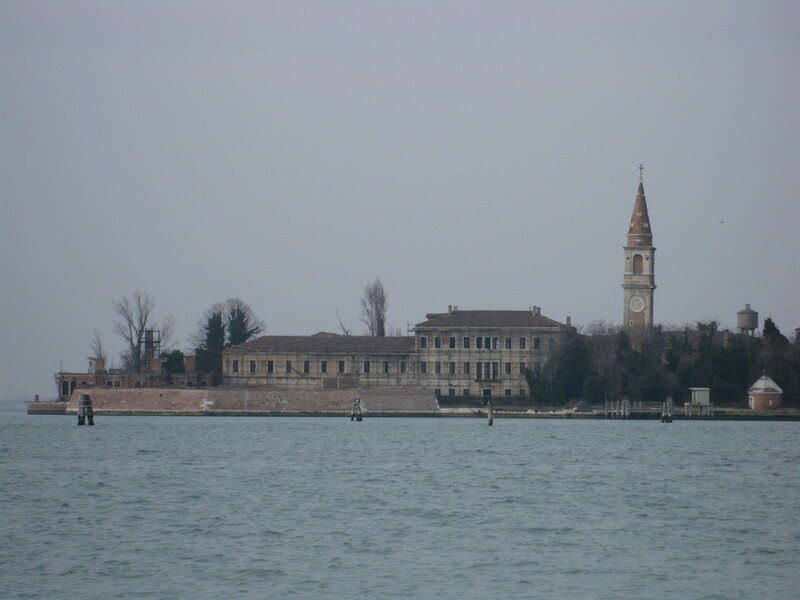 Although Poveglia Island is technically off-limits (unless you can find a particularly daring water taxi driver), you can visit Lazzaretto Nuovo, another main quarantine island, which has just been opened to visitors. Guided tours take place from April to October on Saturdays and Sundays at 9:45am and 4:30pm. Naples’ Fontanelle Cemetery… gives you the shivers! When Naples started running out of room to bury its dead in the 16th century, undertakers started moving bones into a cave just beyond the city walls. The cemetery its big boost in 1656, when plague swept Naples. Thousands of corpses were piled into the cave. Later, it became a boneyard for paupers, with a huge swell of corpses deposited during 1837’s cholera epidemic. Today, the remains of an estimated 40,000 people linger in the cave, although thousands more are thought to be buried beneath the surface. In 1872, Father Gaetano Barbati decided it was time to clean up the cave. He and his followers organized and catalogued the bones. 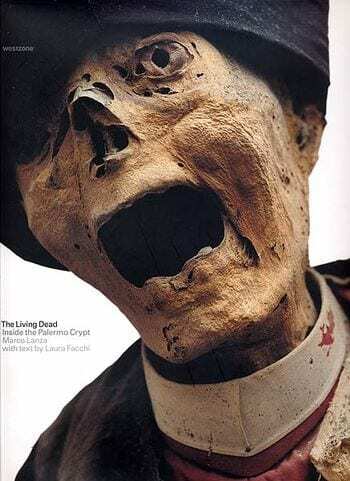 But here’s where it gets really creepy: They also inspired a cult of devotion to the dead. Volunteers weren’t just cleaning skulls. They also were praying to them and asking them for favors. In 1969, the Archbishop of Naples closed the cemetery down, worrying it had become a fetishist cult. The cave only reopened to the public full-time in 2010… and it remains filled with the bones and skulls of 40,000 nameless. The Cimitero delle Fontanelle is open daily from 10am-5pm, except for Wednesdays. It’s located at Via Fontanelle 80. Yep, the vertebrae and skull are real… and the clothes are frescoed on. Not far from the Fontanelle Cemetery lie the San Gaudioso catacombs. Although they go back to ancient Roman times, the catacombs didn’t get really creepy until the 17th century, when they were taken over by particularly macabre monks. Corpses would be sat into a carved-out niche with a hole, letting their body fluids drain out. Once a corpse had decomposed, it would be decapitated and the skull—along with, sometimes, other bones, like vertebrae—cemented to a wall to decorate a fresco of the corpse. The frescoes, and skulls, are still there. And since this is one of Naples’ least-visited catacombs, there’s nothing like walking through the dripping, dark, and bone-decorated gloom… alone with your guide. The San Gaudioso catacombs are located at Piazza Sanità 14. Guided tours are available on the hour every day from 10am to 1pm. Call in advance to request an English guide. Previous articleAnnouncing the Winners of Our Travel Photo Contest! 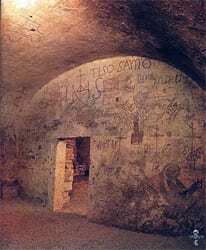 I’m really spooked after looking at these articles on the crypts at Palermo, Narni Poveglia Island, Fontanelle Cemetery and the Naples’ catacombs!! These will not be on my list to visit in Italy. Pompeii and Mt Vesuvius, yes, now they would be fabulous experience!